Ellsworth Community College graduate Kendra Pintar is pictured at Royal Vista Southwest with Runaway Wave, who in January 2015 was named American Quarter Horse’s All-Time Leading Broodmare by money earned. Her offsprings’ earnings thus far totals more than $3.6 million. Ellsworth Community College graduate Kendra Pintar of Hoffman Estates, IL, made a U-turn in her career plans a couple of years ago … at age 22 she quit her job as a hairstylist, enrolled at ECC, and “moved to Iowa to play with horses.” She landed a dream internship with Royal Vista Southwest in Purcell, OK, one of the nation’s premier equine reproduction/breeding facilities. 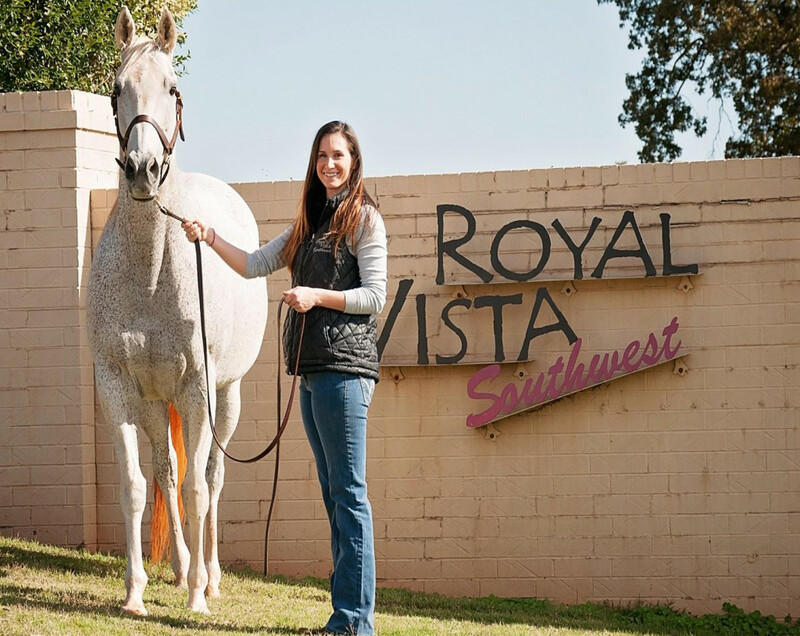 Following the internship, Royal Vista Southwest hired her as an Equine Reproduction Technician. Pintar was ECC’s first intern with Royal Vista Southwest.